Sony Online Entertainment is known for making a number of popular, mostly massively multiplayer games – things like Planetside 2, Everquest, DC Universe Online and H1Z1. Only now, they’re no longer part of Sony. Yes, Sony’s sold off the studio, who shall henceforth be known as Daybreak Game Company – and operate as a multiplatform independent. They’ve been bought out by investment firm Columbus Nova. 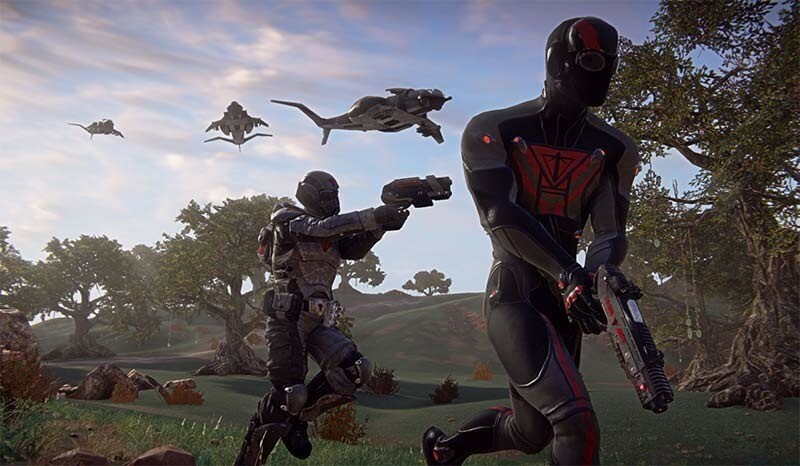 Daybreak Game Company will continue to work on the games it’s busy with: H1Z1, EverQuest Next, EverQuest Landmark and Planetside 2 – but now free from the shackles of Sony’s name, they’ll also be making games for mobile and Microsoft’s Xbox. Now while you may be apprehensive about the fact that the studio was sold to what sounds like an investment company filled with nameless, faceless suits, it has to be said that Columbus Nova is staffed by some pretty awesome people. Jason Epstein is a senior managing partner at Columbus Nova, and he – in his personal capacity – bought Rock Band and Dance Central maker Harmonix from Viacom, just so they could continue to make games independently.